You’re not one of those namby-pamby angel card or angel tarot readers who tell people to cloak themselves in white light and all will be well. You don’t do ‘spiritual bypass.’ You’re a true Tarotist and unafraid of the harsh realities of life. The Death card can mean physical death, no problem. You studied Jung and are aware of the importance of Shadow work… So why would you want to invite angels into your Tarot practice? Well perhaps because you are dealing with the harsh realities of life and sometimes have to deal with a lot of heavy energies in your readings for other people. Why shoulder that burden alone when angels make such perfect companions in divination work? 1. Find your birth angels, i.e. the one’s your personal energy is most naturally attuned to. For divination, we are interested in the lunar connection so begin with figuring out your moon sign. For instance, mine is Pisces and the ruler of Pisces is Neptune (or Jupiter if you prefer traditional Astrology). The ruling angel for Neptune is Asariel and for Jupiter it’s Sachiel. Click HERE to find out which Tarot cards correspond to each of the Archangels! 2. Connect with your personal guardian(s) in meditation. This may sound daunting if you have never connected with spirit guides or guardian angels before but it really is quite simple. All it requires is a relaxed state of mind and a willingness to receive. Ask for protection and make sure that you are grounded and centred before you start. Doing a chakra rainbow meditation is a great way to clear any energy that might block angelic transmission. Your angel may communicate in a number of ways: a wave of warmth, lights of various colours, gentle pressure, sweet scents, symbolic images and clairaudience. If the latter is enabled, you may ask for the name of your angel. 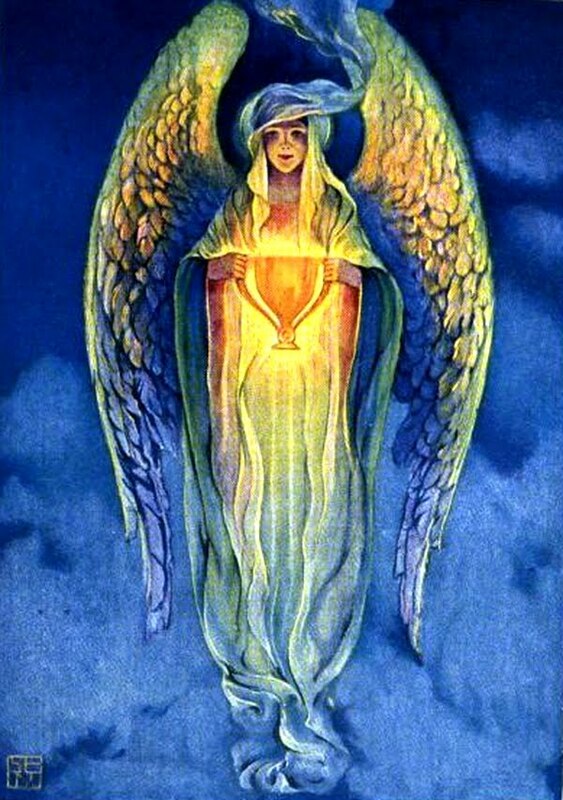 Don’t worry if you don’t consider yourself clairaudient – you may find that you simply know the name of your angel. For those of you interested in learning more about spirit communication and channelling, I wholeheartedly recommend Channelling: What it is and how to do it by Lita de Alberdi. 3. Connect your personal angel(s) with your cards. Perform a ritual and ask your birth/guardian angels to bless your cards. 4. Ask for daily angelic tarot guidance for yourself. 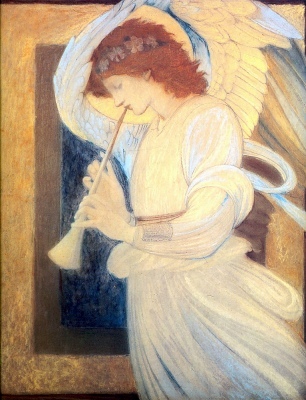 Call on an angel by name and ask what their message if for you that day. Personally, I like to pull a Tarot card and an angel oracle card together, allowing the synergy between them to give a more in-depth message. 5. Invoke angelic guidance and protection. Do this before each reading, either quietly in your mind or out loud, whether reading for yourself or for another person. To some clients, asking out loud is comforting and to others it’s just off-putting – use your own discernment and good judgment! If you don’t like mixing card types in your readings, you can always have your client pull an angel card at the end of the session. This is a great way to ensure that you end on a high. 7. Make your environment angel friendly. Cleanliness is next to godliness – that’s not just a cliché, it also happens to be true so make sure to keep your reading space clean and uncluttered. Find out which essential oils, colours, crystals and incenses that resonate with and therefore attract angelic presences and decorate accordingly. These are just some ways of allowing the angels to help with your Angelic Tarot practice… I’m sure you can think of more! Remember that angels operate on the principle of synchronicity in how they convey their messages – just like the Tarot. It can be on a more subtle level but don’t be surprised if you start seeing an increase in synchronicity once you invite the angels in. As you may have guessed, angels also make wonderful companions in Tarot Healing work. More about that at a later time!